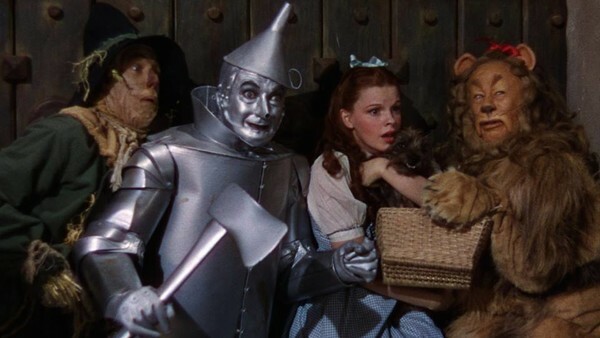 It's been 100 years, and here in the States, we still haven't caught up with the land of Oz. L. Frank Baum set out to write a fairy tale with an American flavor. Today, that would consist of leprechauns with six packs of beer, ridiculously large belt buckles, and Walmart gift cards. But in 1900, it meant a story about a young girl being whisked away to a land of magic and fairies to fight witches, battle gnomes, and explore a world of whimsy and wonder. It's relatively well known that Baum really didn't have much intention to keep writing the Oz books, despite having written 15, (if you count the little wizard stories). He really wanted to write other children's books, but fans were so enamored they begged for more and more. What resulted from his continued writing was a series that to this day would ruffle the feathers of many conservative parents who picked the books up, instead of plopping their kids in front of the TV to watch Judy "I'm way too old to be playing an 11 year old" Garland sing her way through Hollywood's backlots. I'm a writer, father, and student. I was born in the southern United States, and currently reside on the coast of Georgia. I am earning a Bachelor of Fine Art's degree in Creative Writing from Full Sail University.